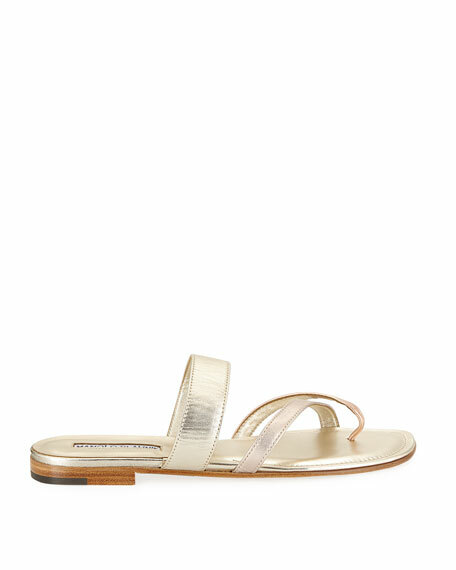 These flat thong sandals from Manolo Blahnik complement almost any outfit in your wardrobe. Leather with contrast hand-stitched detail. For in-store inquiries, use sku #2188719.